20’ high cube containers, (20’ long, 8’ wide and 9’6” high), are fantastic when you can find them. We are lucky to have one available in Detroit. Detroit doesn't get unusual containers like this often, so it is great in a market that has a lot of exciting container projects in the works. It was slightly damaged in transit, but not too badly. 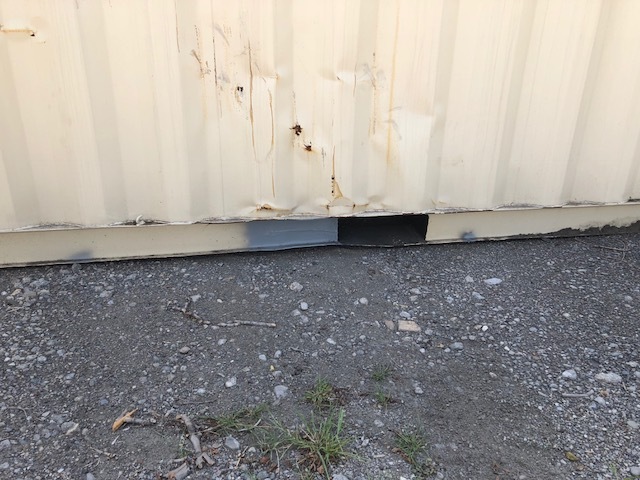 We had special-ordered the container for a project and the damage was not compatible with the project, so we have this particular one left over. Please check out the pictures to see how great it looks! 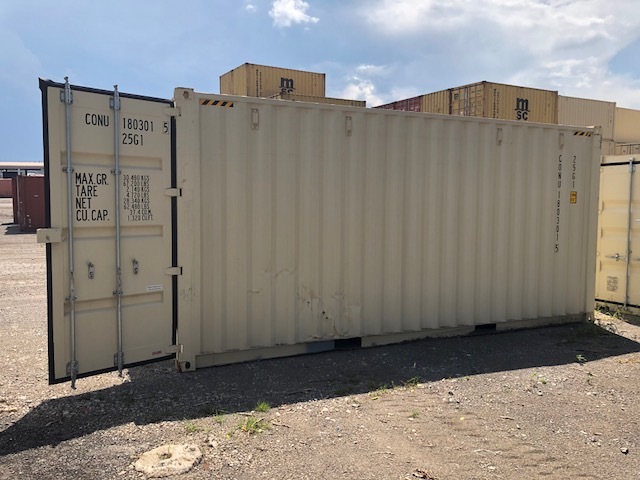 20’ high cube containers are a great option when you need that extra height for storage, but need that shorter length. However, they are only available in one-trip condition. Even then, they are still not that plentiful. 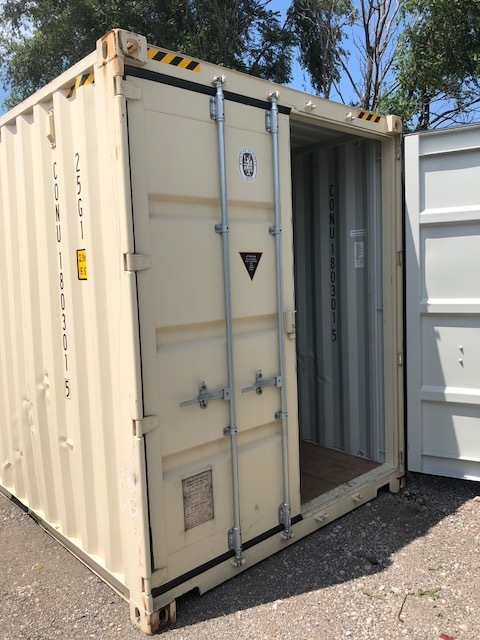 This specific sized high cube container is not widely used in commercial shipping, so used 20' high cube containers are hard to come by. As far as specialty containers go, the 20' high cubes are known to be most consistently damaged in transit. Often then when the container needs to be moved, they are put on a regular 20’ chassis, or container trailer. Most 20' chassis are made for standard containers, which are a foot shorter than high cubes.. Therefore when going under a low bridge, which has enough space for a standard 20' container to clear, there is a big problem. The truck generally keeps going under the container, but the container crumples up. This generally results in totaling the container and damaging the bridge. In fact, that did happen to another container on this order! To see pictures, click here. Low-bridging is so common that most companies do not want to deal with the hassle of having a large percentage of their new, incoming, expensive containers being damaged, that 20’ high cubes tend to be harder to come by. That is why this one in Detroit is such a great option if you are in the area.